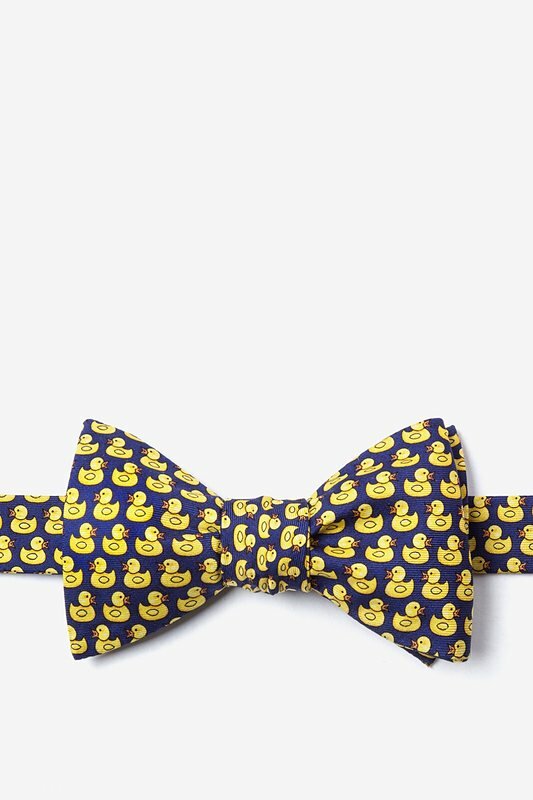 Rubber ducky, you're the one...Bring back those bath time memories with the Bath Companion 100% silk men's bow tie by Alynn Neckwear. 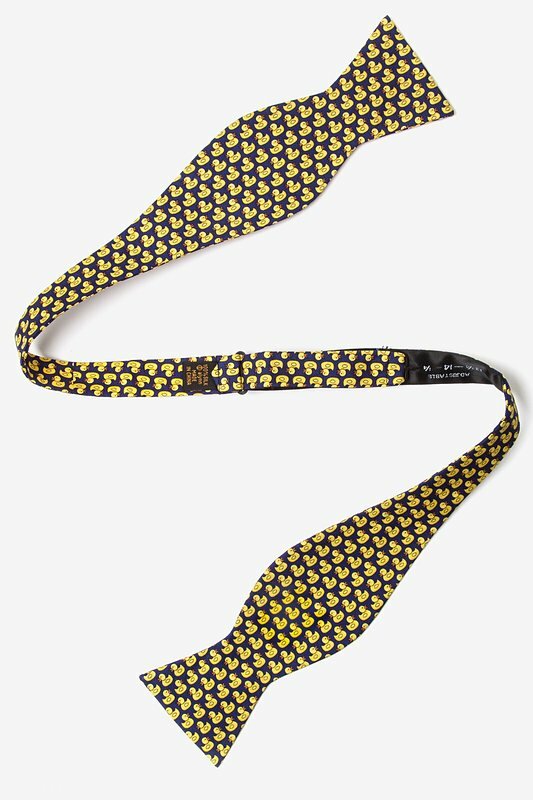 Kick it old school with bright... read more Rubber ducky, you're the one...Bring back those bath time memories with the Bath Companion 100% silk men's bow tie by Alynn Neckwear. Kick it old school with bright yellow ducks against a rich navy blue background. Show your stunning sense of humor with this gem around your neck and smiles will suddenly surround you.